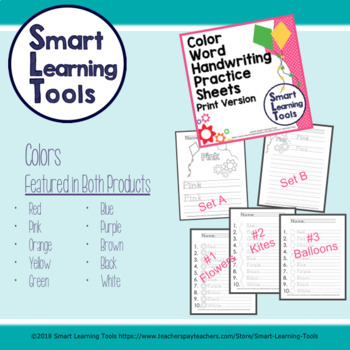 Teach color word spelling, provide print handwriting practice, decorate your room, and build onto your word wall with this fun bright Color Word BUNDLE. 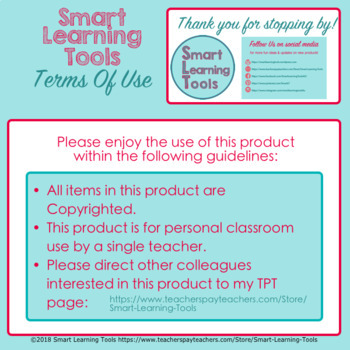 This is sure to brighten any classroom and provide helpful writing practice and examples for your students. 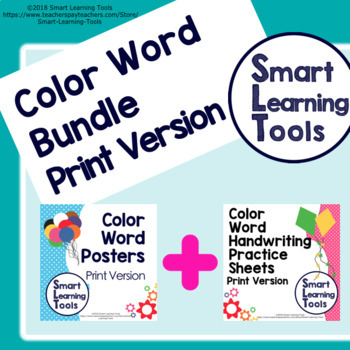 With this bundle you receive Color Word posters and Color Word Handwriting practice sheets! Due to the digital nature of this product, downloaded products are not refunded. Please read the description carefully. 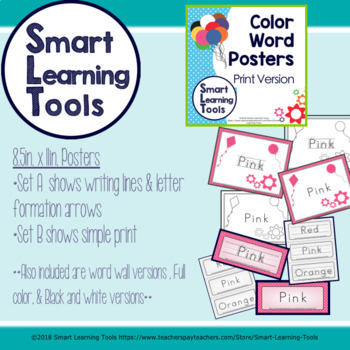 Set A has printing lines and arrows to show letter formation. Set B is a standard Print Font. You get the full color version & the lineart version for each color word in each set. JUST ADDED (8/15/18) - Word Wall Cards - 3 cards on a letter size page. Set A - writing practice for beginning print writers. Set B - writing practice for intermediate print writers. 3 Bonus Sheets featuring all 10 words on one page! Please see each product’s preview for a better look. ♦ Handwriting Practice: Months of the Year.